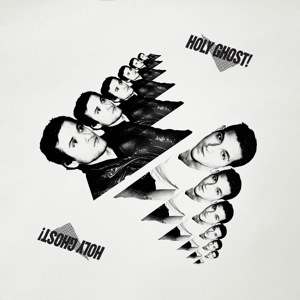 “Holy Ghost!” by Holy Ghost! Electronic music rocks. I’ve said it before and I’ll say it again, the tools that the electronic medium presents to musicians allows for virtually limitless creativity. This results in music that can mash together multiple genres, eras and sounds in one track or album. I really dig it. Prime example is what I sampled this evening, the first full-length record by Holy Ghost!, creatively titled Holy Ghost!. Upon first listen, it’s clear that the creativity that could have gone into the album title was all spent on the tuneage where it counts. Holy Ghost! manages to pay homage to all the great dance eras, Disco, 80’s pop and modern electronica to create a sound that’s familiar yet fresh, with funky rhythm that grooves the whole way through. Despite the heavy era influences, they manage a distinctive sound that’s really rad. Tracks that really showcase the era mis-mash include “Wait And See,” “Jam for Jerry” and “Slow Motion.” Then there’s tracks like “It’s Not Over” that release a sound that’s more unique to Holy Ghost!. Even if you’re not a fan of the genre, you’ll be hard pressed to not enjoy a spin of Holy Ghost!’s latest.